The passing of Richard Nason Hooper, husband of Jean (Campbell) Hooper occurred unexpectedly at his residence in St. Stephen NB on March 31, 2019. Born in St. George NB on January 7, 1941, he was a son of the late Earl and Mabel (Schofield) Hooper. 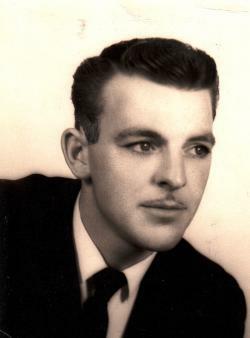 A loving husband, father, grandfather and brother, in addition to his wife Jeannie, he is survived by his sons: Richard Hooper Jr. of Nova Scotia and Jeffrey (Crystal) Hooper of Fredericton NB; step-daughter: Shelley (Thomas) Wiggins of Quispamsis; four grandchildren: Kelsey, Courtney, Cassidy and Chloe; two sisters: Beatrice Deveau and Annette Densmore both of St. Stephen NB; several nieces, nephews and cousins. In addition to his parents, Richard was predeceased by nine brother and four sisters. Richard was a heavy equipment operator by trade as well as being gifted in all trades. He worked several years in construction with various employers including D. Hall Construction in St. George. Richard was also a gifted auto body repair man, working several years for Purdy's in Saint John as well as owning his own shop in the St. George area. 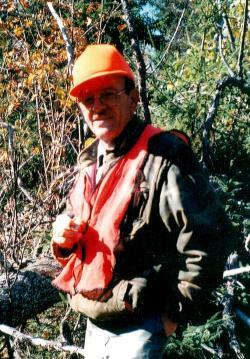 He was an avid outdoorsman, who loved hunting and fishing and enjoyed a good round of Golf. Richard was also known as a master woodworker and especially loved building boats. He will be sadly missed by his family and all who knew him. Arrangements in the care of the St. George Funeral Home (755-3533) 26 Portage Street, St. George NB. As keeping with Richard's wishes, there will be no visitation and a private family service will be held at a later date. In Richard's memory donations to a charity of the donor's choice would be greatly appreciated by the family.